The spring academic excursions, during which it’s possible to get out of class and combine a trip to the museum with a nice street walk around the city, are my favorite part of the curriculum. Even though this semester my selected courses didn’t generally include field trips, I used the chance to join the class of “Berlin: Experiment in Modernity”, designed by professor Florian Becker for the visiting Bard students, and discover more about the history of Berlin. The trip to the Former Ministry of State Security (“Stasi” Headquarters) seemed the most exciting for me. Having been born in the Soviet Union, I grew up with stories about socialism, pioneers, and spies, told by my parents, and so this excursion was intended to support my emotional blurry memories with some factual details. 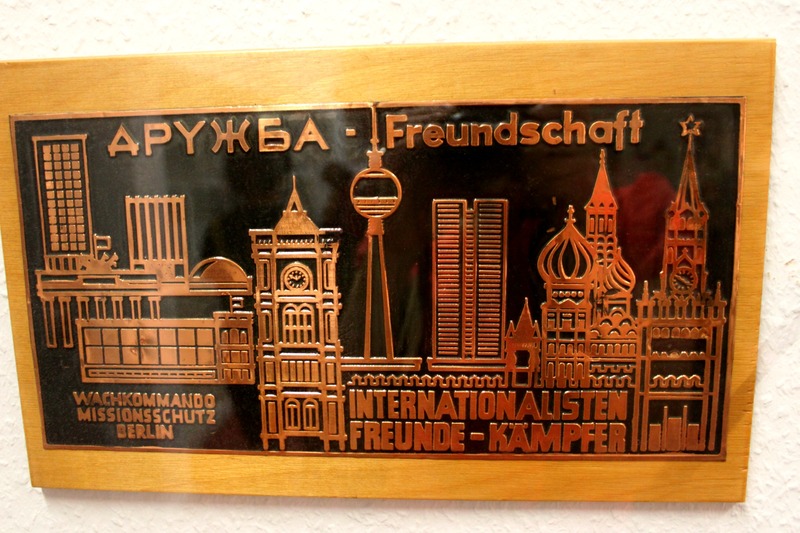 Besides, I just couldn’t miss the chance to see the real spy equipment, which was not just a cinematographic invention but was actually used in GDR about 50 years ago. The “Stasi” Headquarters is located in a quiet area in Lichtenberg. I felt the specific atmosphere as soon as I got out of the metro – monumental buildings, immersed into unusual silence, compared to the lively city center, and almost no one around. 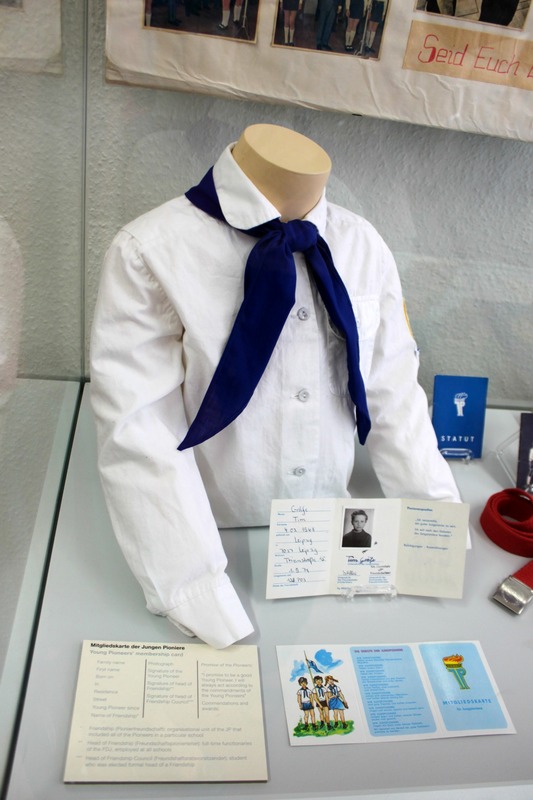 Turned into a museum, the former state security service today offers an exhibition which covers the lifestyle of East and West Berliners, the activities of youth organizations, the socialist propaganda posters, and tells about the life and work of the head of Stasi Erich Mielke. In the cold hall of the museum, our group met the guide, who started the trip by stating the impressive number of members and victims of the “shield and sword of the party”, and presented the schematic model of the Ministry building complex. According to the guide, immediately after the Stasi stopped its activity, the officers started destroying the archives in order to keep their plans and documents secret. 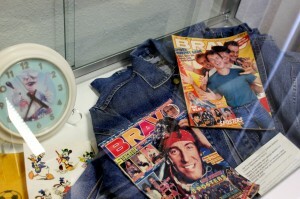 Out of 15 000 bags of information, less than 500 were reconstructed and used for the design of the exposition. The archive work continues up to this day and, so, a stunning set of facts may be discovered any time soon. 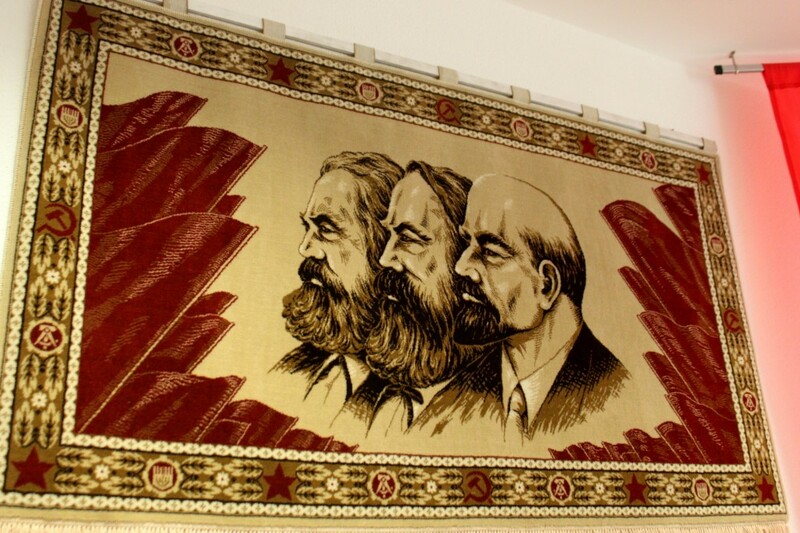 The main task of Stasi was to fight against the “enemies” of the Socialist Unity Party of Germany (Sozialistische Einheitspartei Deutschlands, SED), which confronted the ideology of the regime. Founded in 1946, SED had an absolute power and outstanding popular support. The main weapon of the Ministry for State Security in the “struggle against the enemies” was the “unofficial collaborators”–– Inoffizielle Mitarbeiter (IM). The informants monitored their colleagues, friends, students, and then provided the information about their private and public actions to the Ministry. 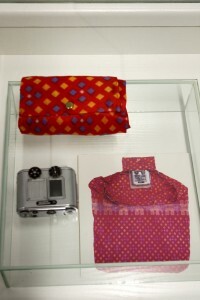 So as to collect the information, the collaborators used the espionage devices, which are presented in the museum today––tiny cameras, pinned behind the shirt button, cameras and recorders, hidden in the ties or wallets, watches, markers, and bigger objects like suitcases, garden watering cans, or even nesting boxes. In order to join the Stasi, the prospective candidates had to express their desire for collaboration in written or oral form. The motivations could be different––political conviction, sense of duty, fear of being repressed, or the desire for professional and material benefits like elite education or career promotion. 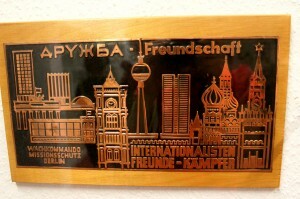 Discovering that a neighbor had become a Stasi informant was not complicated––the members of the organization had flats in separate houses, owned phones, and could be distinguished by their countryside dialects, since numerous Stasi officers originally came from the outskirts of the cities to search for a better life. According to the criminal code, the Stasi was not only authorized to arrest people, but could also carry out criminal investigations, for whose implementation there were 17 detention centers. 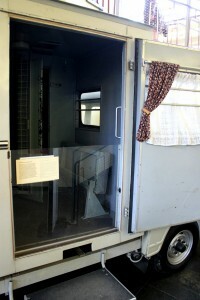 Stasi had transporting vehicles, disguised as delivery vans, which were used to break down the political enemies morally. To do this, Stasi soldiers drove the detainees around Berlin for hours, exhausting them with questions, while not giving any information to the victims’ families. Once a person disappeared in the mechanism of the Stasi machinery, it was virtually impossible to find out what was happening with him or her at the moment. There were 180 rooms established for interrogation purposes, so the process of destroying the political enemies looked like a conveyor. The Stasi officers kept asking the same questions in the span of 20 or more hours and compared the answers: whereas a “normal” person would have been tired and confused, the potential “enemy” would have made up a “legend” and would have kept repeating the same information. 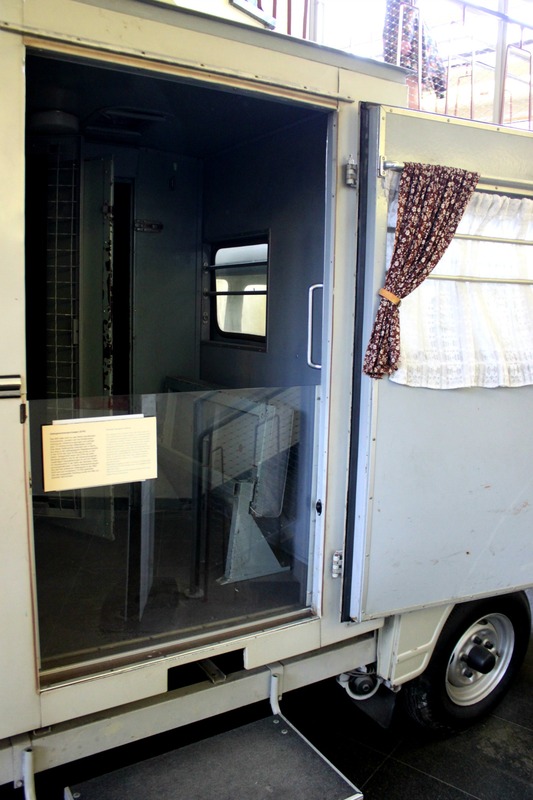 To make the stubborn prisoner talk, Stasi used various means of psychological pressure like gradually filling the room of the prisoner with water or putting him in a light–proof room for 14 days. The prospective staff of Stasi was prepared in youth organizations, where children received the necessary ideological training––“The Ernst Thälmann Pioneer Organization” (Die Pionierorganisation „Ernst Thälmann“) for pupils aged 6 to 14, and the “Free German Youth” (Freie Deutsche Jugend or FDJ), which united youngsters from 14 to 25. Whereas in the 1930-40s, in which these movements were founded, the percentage of students involved was about 26 and 36%, in the end more than 95% entered the organizations. It was almost impossible for non–members to get a good education, do sports, or attend leisure clubs. Stasi would later directly hire the most loyal and active alumni of FDJ. Local recruiters, fluent in psychological skills, easily established emotional connection with adolescents and attracted them to cooperation with promises of sweet life and sky-high perspectives. What was the most remarkable for me in the Museum was the room, which presented the lifestyle of Western and Eastern German teenagers through everyday things – jean coats, magazines with pop-stars, and clothing with Disney cartoon characters on one side and modest outfit of nondescript color on the other. The youngsters from the East were deprived of many capitalistic benefits, but nevertheless strove for them. On the 7th October 1969 – the day of 20th anniversary of the German Democratic Republic – someone spread the rumor that the “Rolling Stones” were going to give a concert for the youth from GDR who couldn’t get over the wall on the top of the Springer-building, the tallest building in what was West Berlin, located close to Checkpoint Charlie. The policemen tried to stop young fans on their way but hundreds of people still managed to get almost to the end point of the destination, where they were beaten up and put into jail. Unfortunately, it was only a provocation and the band was not in the country. However, if the concert took place, the Wall could have been endangered 20 years before its actual collapse.